"Every organization shall exercise the appropriate management and controls necessary to provide reasonable assurance that all of the organization’s operations are carried out and resources are used in a responsible manner and in conformity with applicable laws and regulations, such conformity taking into account biblical mandates." Accredited organizations are the recipients of public trust and must fulfill fiduciary responsibilities. Therefore, reasonable procedures must be established to ensure that all funds are used in conformity with applicable laws and regulations and to fulfill the exempt purposes of the organization. Charitable contributions. Charitable contributions are only deductible under U.S. tax law if given “to and for the use of” a “qualified” tax-exempt organization to be used under its control to accomplish its exempt purposes. “Qualified” organizations are domestic 501(c)(3) organizations. To be deductible, charitable contributions must be unconditional and without personal benefit to the donor. Unrestricted gifts – Gifts received with no restriction on use or purpose. Donor-restricted gifts – Gifts that are donor-restricted for a stated period of time or for a specified purpose. The restriction must be more specific than the broad limits imposed by the charity’s purpose or nature. The terms “unrestricted” and “donor restricted” are used by nonprofit organizations to conform with generally accepted accounting principles. The IRS indicates concern about excessive donor control if that control is directed toward a particular individual. Gifts that are given in support of an organization’s exempt purposes and programs are generally tax-deductible within the limits prescribed by law. To be tax-deductible, the organization must exercise full administrative control over the funds given to ensure that they fulfill its exempt purposes and programs. While exercising full control over the funds, the organization must also fulfill its responsibility to honor donor stipulations for particular exempt purposes, if the stipulation does not represent earmarking for a specific individual. With few exceptions, gifts that are earmarked for a specific individual are not deductible as charitable contributions. Gifts in support of the ministry activities of a specific worker, such as missionary support, may be tax-deductible contributions to an organization if they are not earmarked for personal use. The funds must be under the control of the organization, to be expended for reasonable compensation and business expenses of the worker or related ministry costs. Use of resources. Exempt resources must be used exclusively for exempt purposes. This is a fundamental provision of tax law, as well as state law, that should be set forth in an exempt organization’s articles of incorporation and bylaws. Any part of an organization’s resources inuring to the benefit of private individuals is absolutely prohibited. Private benefit ordinarily pertains to activities or resources that benefit individuals outside of an organization but which do not further the organization’s charitable purposes. On the other hand, private inurement occurs when an insider receives a benefit that does not further, or is incidental to, the organization’s 501(c)(3) purposes. Private inurement may also result from compensation that is not properly reported for tax purposes or result from unreasonable compensation. The use of resources in a responsible manner includes managing assets, liabilities, and net assets in a God-honoring way. An organization that has expended assets and/or inured liabilities in a way that results in the inability to pay liabilities in a timely manner, or net assets that are inadequate to provide for ongoing operations and/or honor donor restrictions, may diminish its own Christian witness. It would be wise for organizations to remember Jesus’ words of admonition: “Suppose one of you wants to build a tower. Won’t you first sit down and estimate the cost to see if you have enough money to complete it? For if you lay the foundation and are not able to finish it, everyone who sees it will ridicule you, saying, ‘This person began to build and wasn’t able to finish’” (Luke 14:28–30). Compensation of workers. Compensation of workers, whether employees or independent contractors, must be reasonable for the services rendered and must be properly reported for tax purposes. Documentation should be maintained to verify reasonable control over all domestic and international workers. This includes personnel files, job descriptions, employment agreements, supervision information, progress reports, and performance evaluations. Business expense. Payment of ministry expenses should be supported by adequate accounting records. Such substantiation demonstrates how these expenses fulfill the organization’s exempt purposes. Benevolence. Any payments made directly to, and in support of, the poor and needy qualify only if benevolence is a program and purpose of the organization. An organization should maintain policies under which the benevolence program is administered. These include adequate criteria to determine individual need; documentation of need, including external verification; assignment of personnel or a committee to approve requests; reasonable limits of support per person during a specified time period; and coordination with other organizations providing aid. Grants. As contrasted with programs conducted directly by an organization and its personnel, grants may be made to other recipients to further the organization’s exempt purposes. Grant recipients may be related or unrelated charities and may be domestic or foreign organizations. Grant administration and control procedures will vary based upon grant materiality (amount and significance), the nature of the grant recipient’s operations, and the nature of the relationship between the granting organization and the grant recipient. International grant-making. U.S. tax law does not prohibit the making of grants by a U.S. tax-exempt organization to recipients in other countries if they further the U.S. organization’s tax-exempt purposes. However, the IRS has articulated some parameters as to when contributions may or may not be deductible for tax purposes, if they are made to a U.S. charity and subsequently distributed in the form of a grant to a foreign recipient. The reason for IRS scrutiny of such grants is because only donations to a U.S. tax-exempt organization are deductible as charitable contributions. Contributions by a U.S. taxpayer to a foreign organization are not tax-deductible. A U.S. charity may not act merely as a conduit of funds for a foreign recipient. This would result in treating these indirect contributions to a foreign organization as tax-deductible contributions, something that would not be allowed if the funds were made directly to the foreign entity. However, if a grant is made by a U.S. charity to further its exempt purposes, and if the grant funds are clearly under the control and discretion of the U.S. charity rather than the donor, it is unlikely that the IRS will challenge the deductibility of the gift. Organizations may seek professional counsel concerning operations that result in grants to foreign recipients. Various rulings and tax cases stipulate certain characteristics in evaluating whether grants to foreign recipients are proper, exempt-purpose expenditures of the U.S. charity and, therefore, if any supporting gifts actually are deductible by donors of those funds. Impact of international operations on the financial statements. It is important for organizations to properly control, adequately account for, responsibly audit, and fully disclose in their financial statements the nature and scope of their operations, both within the U.S. and internationally. Organizations and their auditors should consider the impact of worldwide operations on the scope of the audit, and the financial statements should report on all organizational assets, liabilities, revenue, and expenses. To be “unqualified” or “clean,” an independent auditor’s report must reflect no restriction on the scope of the audit. The reach of an organization extends to activities conducted under its control (internationally) when expenditures are made to further its exempt purposes to compensate workers, pay business expenses, provide benevolence to the poor and needy, or to make exempt-purpose grants. In order for financial statements to be in conformity with generally accepted accounting principles (GAAP), they must accurately portray the full range of the organization’s operations internationally. The FASB Accounting Standards Codification 958-205 (Topic 205, “Presentation of Financial Statements”) sets forth that such statements must focus on the organization as a whole, including its total assets, liabilities, net assets, revenue, expenses, and changes in net assets. In addition, ASC-810 (Topic 810, “Consolidation”) helps guide a reporting organization as to when it must consolidate another not-for-profit organization in which it has a controlling financial interest. Significant granting activities should be properly disclosed in an organization’s financial statements, including a description of the nature and purpose of the grants and the grant administration policies. Conformity with applicable laws and regulations. 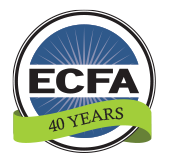 Standard 4 establishes the guideline that ECFA accredited organizations shall use resources in conformity with applicable laws and regulations. The standard provides a caveat that biblical mandates may be taken into account when considering conformity with laws and regulations. 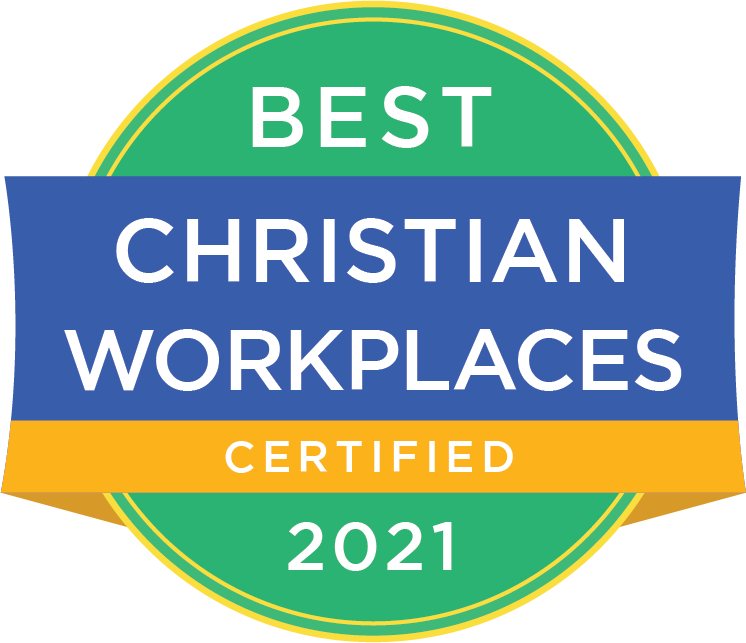 In select situations, an accredited organization may feel compelled to take actions that are in conflict with certain laws, i.e., with respect to religious freedoms and carrying out the Great Commission. Summary. An organization should control and require the same degree of accountability over all operations, whether domestic or international, and whether conducted by its personnel or through grant-making activities. All activities and expenditures must be under the control of the organization and not the donor (except for donor stipulations) and clearly in furtherance of an organization’s exempt purposes.